I was lucky to grow up in a family where for vegetables and fruit we went to the farmers’ market, for meat and sausages for the Chilean sausage Longaniza with Eggs we went to the neighbor’s butcher, the bakery, etc. We did not go to the supermarket to buy all food at one place, but we went to specific shops, and every shop had its expert. Our local butcher made fabulous sausages. Naturally, he used the whole animal and had one of those awful creaking giant electric knives for cutting bones. Here in the US, I go to a supermarket (Central Market, Houston) with butchers who know how to cut meat for each preparation, grind the meat to order, etc. 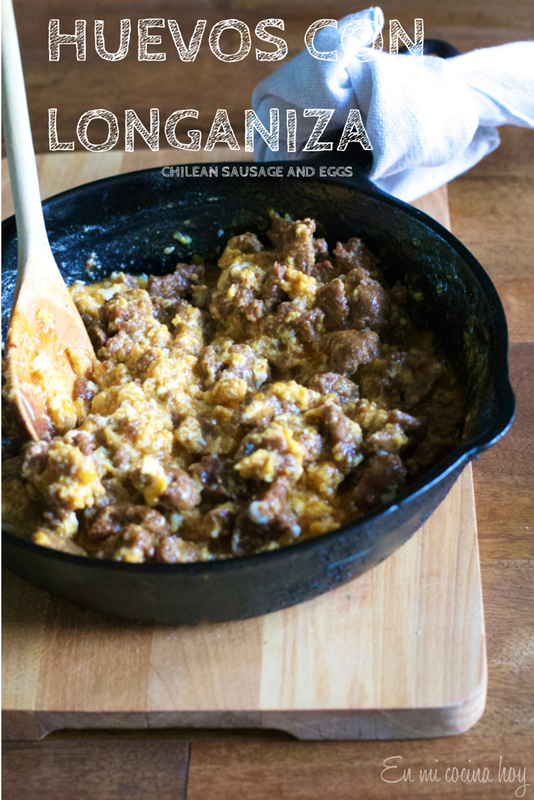 As I usually buy weird stuff, they always ask me what I’ll cook, and sometimes they suggest things or scold me for simplifying classic Latino recipes. At Central Market, they also make sausages with their seasonings and methods. To replace the Chilean sausage I buy fresh Spanish chorizo, it’s not the same, but it comes pretty close. My grandfather ate this for breakfast, but I prefer it for dinner. 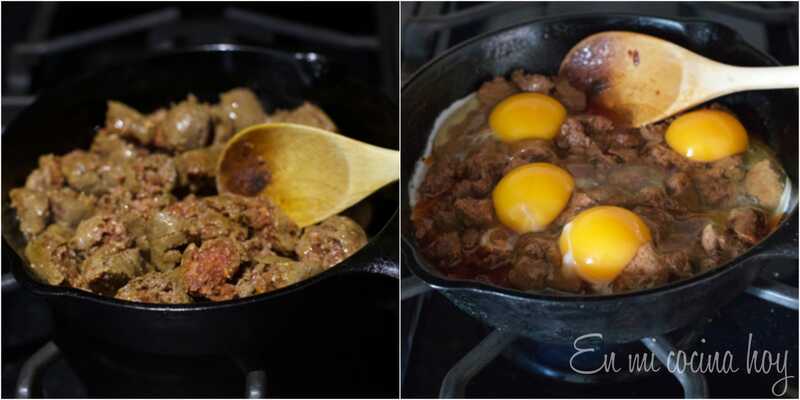 Heat a medium-size skillet over medium-high heat, open the sausage, cut one end and remove the “meat” of the sausage. Brown the sausage pieces and break apart about 5 minutes. Add eggs and stir gently integrating everything. Remove from heat before the eggs are 100% cooked, they will finish cooking with the heat of the pan. Serve immediately with warm bread.